74 posts categorized "Etsy Store"
My mom retired last year in February so we threw here a party! I made the invite which I shared HERE with you all and I am sharing today the rest of the decorations that I created for my mom's party. I also have listed some of the decorations in my Etsy Shop. I do party invites along with decorations for any occasion all the time. If you need invites, decorations and etc lets talk email me I love making items for your special occasion! I did a fiesta theme and I used the retired Bundle Birthday Fiesta Photopolymer Stamp Set & Fiesta Time Framelites. The stamp set is retired now however you can purchase the Fiesta Time Framelits from the clearance rack from Stampin' Up!. These framelits work great for party decorations without the stamp set! I made retirement advice cards for the guests to fill out. First I designed the wording to print out on Whisper White card stock. Then cut them down and at the top stamped the flower. I rotated the colors Tempting Turquoise, Pumpkin Pie, Crushed Curry and Melon Mambo. Then I adhered the Whisper White card stock to Tempting Turquoise, Pumpkin Pie, Crushed Curry and Melon Mambo card stock alternating them with the stamped color on the Whisper White card stock. The perfect fiesta colors! I designed a Fiesta Retirement Advice sign in Photoshop for the retirement advice cards. Then printed it out onto Whisper White card stock and slid it into a sign holder. I have a digital version of this listed in my Etsy Shop too. Here is how the set up looked like. I found the wood box at hobby lobby. I went to the Party Store and Hobby Lobby and found table runner in the colors I needed; picked up silverware, cups, tulle, colored glass rocks and paper doilies to match the fiesta colors. I painted the wood on this one with pink. Using my Silhouette I cut out the wording and added it to the board. At the top I diecut out card stock that I had stamped on using the Birthday Fiesta Photopolymer Stamp Set & Fiesta Time Framelites and the Big Shot Die Cutting Machine. I used Pumpkin Pie and Tempting Turquoise for my colors. These I created for the beverage table and we did Taco in a bag for the food. The Beverage sign I painted in orange. Using the Silhouette I cut out the words and cactus and adhered them to the board. With the Fiesta Time Framelites and the Big Shot Die Cutting Machine I die cut out Melon Mambo and Tempting Turquoise card stock and adhered them to the boards. The Taco In Bag Sign I painted Turquoise. Using the Silhouette I cut out the words and cactus and adhered them to the board. These were so fun to create! I made some Tassel Garland to go on the front of the tables. I love making these they are always so fun to look at when they are completed. For the guest tables I made these succulent and cactus table decorations. I found some large paper doilies in the fiesta colors I picked and placed each one onto the doily and then put them on the tables with some colored glass rocks and tulle. Pinterest did get me into trouble because I found some frosting decorations that I wanted to do. lol I wanted to make cakes and cupcakes to look like cactus with frosting. Of course I have never done frosting on this level before I am the gal open the frosting container and smear it on with a knife. lol My Aunt thank goodness came and helped me she is amazing at decorating cakes and etc. The cupcakes turned out so cute I thought. My Aunt did a great job with the cake! I made a punch I found too on pinterest. Close up of the cakes and cupcakes. Our Family Pictures, were missing a few people but thankful for who could join us! This one is of my mom's brother's family. We had fun and thankful for all the people who came to celebrate my mom's retirement! Have questions or comments please feel free to email me or leave a comment on my blog. I love hearing from my readers! Back with another fun family gift! This is another gift we created for our family members and is part of the "Year Gift" we made. If you would like to see more info about this awesome project we created and what I've shared so far click on the little tag on the left side of my blog labeled Year of Gifts or visit HERE or visit my pinterest board Rubber Redneck Year Gifts to see them all in one spot. St. Patrick's Day has come and gone but some great ideas for you for next year! Each family did get different items but a couple of things were the same for each family. Everyone received the green nail polish I decorated by punching out a circle in Whisper White card stock stamping in Emerald Envy onto the Whisper White circle, gold coins, trivia cards, and St. Patrick's Day drink recipe (found online) printed it out and stamped on it then attached to a piece of Emerald Envy card stock and laminated it, luck of the Irish message (found online), and catch a leprechaun box. Cut 1 piece of Chipboard 4" x 4". Cut 1 piece of Garden Green card stock 5 1/2" x 5". Score 1" around all sides. Cut on scored lines and fold to create like a lid. Stand the Lid up on end and glue the chipboard piece to the bottom inside. I purchased rainbow bags for another project but they were to small so I used them for this. I glued the bag to the chipboard. Then glued a bunch of cotton balls to the chipboard and part ways onto the rainbow bag. Cut a craft stick down and attached to the card stock lid and into the cotton balls. Tied a piece of red ribbon to the stick and attached to the bag. Pot of Gold! Who wouldn't want a pot of gold!! lol I used the Silhouette to cut out the pot. Then added some more gold glimmer coins to the front of it. I found these St. Patrick's Day Trivia on Pinterest so I printed them off and then stamped a clover on each one in Emerald Envy. The stamp is something I picked up many years ago by another company. Also in the pot of gold was green nail polish, green bracelets, gold coins and bubbles that I found in green! For the families with younger kids I created coloring books for them. I found free color pages online and man is their a ton of them! Stacked the sheets together and then cut Emerald Envy card stock to create a book cover. I stamped the clover and kiss me in Emerald Envy Ink. I printed out each kid's name onto Whisper White card stock and then stamped the clovers across the top in Emerald Envy. Does that image look familiar to you old timers? Yep that was the clover wheel from way back when. Then I finished by adding gold coins to the covers. So fun and cute! I also found a free printable online for learning St. Patrick's Day Images. So I printed them out and laminated them as well for the younger kids. So when I purchased the stuff for St. Patrick's Day it was in March...my brother got engaged at the end of Oct. so we had to scramble to come up with something for the future sister in-law. What in the world do you do at the end of Oct as your not going to find anything in this small town for St. Patrick's Day! lol So off to pinterest I go (boy does that save my bacon a lot) and I saw coffee mugs when I searched so light bulb this idea was born. I wish I would have thought of this sooner to do for each family. So we made these using the Silhouette and I'm not gonna lie they turned out pretty awesome! However hubby was ready to drink when we were done. haha I also listed these in my Etsy Store to if you are interested in purchasing a set for next year! This is a limited time only bundle, available August 2 - 31, 2016 (while supplies last). I absolutely love this fantastic bundle and you do NOT want to miss out on this opportunity! Today I am sharing one of the cards I created for the Special Stamp Review Blog Hop featuring the stamp set. This bundle has so many possibilities. I have added this card to my Etsy Shop. Create a card base out of Whisper White card stock. Add a piece of 2015-2017 In Color Designer Series Paper (Watermelon Wonder). Zip the Blushing Bride card stock through the Big Shot with the Hearts Embossing Folder. Add a piece of Pop of Pink Specialty Designer Series Paper. Ink the greeting from Thoughtful Branches Stamp Set in Blushing Bride and stamp onto the bottom right corner of the Whisper White card stock. Ink the leaves image in Watermelon Wonder and stamp onto the Whisper White card stock. Repeat onto a scrap piece of Whisper White card stock. Die cut out the leaves image and a piece of Old Olive card stock using the Big Shot and the Thoughtful Branches Thinlits Die. Finish decorating the card with Linen Thread, Silver Metallic Thread and Metallic Enamel Shapes. On the inside I kept it simple by adding a piece of 2015-2017 In Color Designer Series Paper (Watermelon Wonder). Sale-A-Bration Ends in 2 days!!!!!!!!!!!!!!! Hurry and get you're FREE Gifts before they are gone! Today's share I created to play along with a challenge in my Sale-A-Bration On-line Class. The class is over but you can still purchase the class and get 5 fabulous and beautiful projects with step by step photos in a downloadble PDF's along with Video Tutorials!!! It uses the Pedal Pusher Photopolymer Stamp Set item #141312 from the 2nd Sale-A-Bration Brochure. For every $50 (before shipping & tax) you get to choose one of the FREE Sale-A-Bration Gifts. Hurry to get your free gifts Sale-A-Bration ends on March 31, 2016!!!! Sale-A-Bration Details can be found HERE. I just love this stamp set!! The bike is so cute and the greetings in the set I think our awesome!! I also added this card to my Etsy Store too! Ink the bike from Pedal Pushers Stamp Set in Jet Black Stazon and stamp onto the Whisper White card stock. Color in the bike image using the Many Marvelous Markers. I used Crushed Curry, Old Olive and Smoky Slate. Add a piece of Regals Designer Series Paper at the top of the Whisper White card stock. Punch out a piece of Smoky Slate card stock with the Banner Punch. Then using the Handheld Stapler; staple the Smoky Slate and Regals Designer Series Paper to the top of the Whisper White card stock. Tie a piece of Old Olive Baker's Twine around the layers. Ink the greeting from Pedal Pushers Stamp Set in Old Olive and stamp onto the bottom right corner of the Whisper White card stock. I added a Rhinestone Basic Jewel to the center of the front wheel on the bike. Here is a look at the inside. Kept it pretty simple and clean. Add a piece of Whisper White card stock. Ink the stamp from Pedal Pusher Stamp Set in Jet Black Stazon and stamp onto the bottom right corner of the Whisper White card stock. Color the bird in using the Many Marvelous Markers (Crushed Curry). 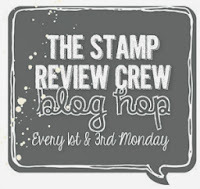 Today I have all the details for the card I created for The Stamp Review Crew Hop!! If you missed out on the hop you can visit my blog post The Stamp Review Crew; Endless Wishes. The Endless Birthday Wishes Photopolymer Stamp Set item # 140273 is in the Stampin' Up! main catalog (pg. 6). It has been around or awhile but it is one of my go to and favorite all time birthday sets. If you don't have this set yet I do really recommend getting it! I also added this card to my Etsy Store!! Here is a look at the stamp set itself. Lots of cute little sayings in it and I just love the script in this set! Ink the stamp from Endless Birthday Wishes Stamp Set in Tuxedo Black Memento Ink and stamp onto the bottom right corner. Ink the stamp from Endless Birthday Wishes Stamp Set in Mint Macaron Ink and stamp onto the right side of the of the card stock up a little ways. It's My Party Designer Series Paper Stack has 48 sheets: 4 each of 12 double-sided designs In 12 x 12 Size. It's My Party Designer Series Paper Stack offers a fun and cute party look to any project! For some bling I added Silver Glimmer Paper and Silver Metallic Thread. I stamped the image from Endless Birthday Wishes Stamp Set in Tuxedo Black Memento Ink onto Whisper White thick card stock. Using the Many Marvelous Markers and 2015-2017 In Color Markers I colored in the image. For more sparkly I used the Wink of Stella Glitter Brush Clear. LOVE THIS!!! For the finishing touch I added It's My Party Enamel Dots and Rhinestone Basic Jewels. I took the stamp from Endless Birthday Wishes Stamp Set; ink in Mint Macaron and stamped onto the right side. A piece of It's My Party Designer Series Paper and Silver Glimmer Paper was added to the bottom. The greeting was stamped in Tuxedo Black Memento Ink. We always need more ideas for Gift Card Holder. This is a fun Christmas one I created using the Jolly Christmas Stamp Set (W) item #139873 (C) item #139876 (pg. 27) from the Holiday Catalog. I just love this set!! It's also on the Year-End Sale too!!!!!!!!!!!!!!! I also have added this to my Etsy Shop. * Take the stamp from Jolly Christmas Stamp Set; ink it in Hello Honey and stamp onto the Hello Honey card stock until the entire piece is stamped on. * Apply Tear & Tape Adhesive down the sides and across the bottom of the Hello Honey card stock. Attach the Hello Honey card stock to the Night of Navy card stock forming a pocket. * Take the stamp from Jolly Christmas Stamp Set; ink it in Cherry Cobbler and stamp onto Whisper White card stock. Zip the Mossy Meadow and Whisper White card stock through the Big Shot with the Tags & Labels Framelits. * Color the Clothespin with the Mossy Meadow Ink Pad. * Create a bow out of the Season of Cheer Designer Series Paper using the Bow Builder Punch. TWO DAYS LEFT! 15% off All regular priced stamps on retail price. This sale will only be around for a few days before it ends on October 23, 2015 so don't miss out! Get a head start on filling out your Wish List!!! Shop On-line with me HERE. * No Limit on to the number of stamps you can purchase at 15% OFF. Welcome back to day 2 of my Fall Frenzy Event!!! I am excited to hear so many of you are excited for this fun week and are looking forward to my upcoming Rubber Redneck 9 Days of Fall On-line Class!! Lot's to share today. First up some more blog candy!! if you want a chance at the GRAND PRIZE. You can read about it HERE Fall Frenzy Day 1 Post. and receive the free Fall Frenzy Paper Kit to recreate all four of Fall Frenzy Projects I will be demonstrating this week!!!! Please Note~ if you select no contact I can't email you or mail you the Fall Frenzy Paper Kit. Today's project is a beautiful and easy card to re-create. You can never have enough thankful cards! Perfect for anyone. I used the A Little Something Stamp Set (W) item #139827 (C) item #139830 from the Holiday Catalog (pg. 41). I also added this card to my Etsy Store. * Stamp the images from A Little Something Stamp Set in Mossy Meadow on the Whisper White Thick Card Stock. * Punch a piece of Gold Glimmer Paper out using the 2 1/2" Circle Punch. * Punch a piece of Soft Suede card stock out using the 2 3/8 Scallop Circle Punch. * Punch a piece of Into the Woods Designer Series Paper with the 2" Circle Punch. * Stamp the saying from Acorny Thank You Stamp Set in Tangelo Twist. Zip through the Big Shot with the Bitty Banner Framelits. Need more ideas for Fall? This is a special class to celebrate Fall and all the fun that goes with it! Starting on the October 26, 2015 I will post a new project each day; Monday through Friday in an exclusive on-line class. Each project will included a Mini PDF Tutorial and a Video Tutorial. I will also have 9 bonus projects/sneak peak that I will be posting in this class several days before I post it to my blog and for others to see! Not going to be home that week? That's not a problem! Access to the class will remain available for 10 months from the start date! I will also be giving away some goodies (prizes) in this class. Fall into a good time with this event that you surly don't want to miss! Be sure to sign up today so you don't miss out on all the fun!! Visit the Rubber Redneck 9 Days of Fall Page for all the details. Please note upon receipt of payment I will email you on October 23, 2015 after 9am Central Time with your username, password and login instructions. If you would like a different email address used instead of your paypal account email please add the correct info in the notes of the PayPal transaction. If you have taken one of my classes in the last year you will have the same username and password as before. When you sign up for my Rubber Redneck 9 Days of Fall On-line Class by November 5, 2015 you will receive one of the Grateful Pouch below randomly for FREE!!! SCORE Also those that register for the Rubber Redneck 9 Days of Fall class will receive the Mini PDF for this project at the start of class!! Technorati Tags: 2 1/2" Circle Punch, 2 3/8 Scallop Circle Punch, 2" Circle Punch Into the Woods 3/8 Cotton Ribbon, A Little Something, Acorny Thank You, Big Shot, Bitty Banner Framelits, Brights Candy Dots, Card Tutorial, Demonstrator, Etsy Store, Fall, Fall Frenzy, Holly Krautkremer, Rubber Redneck, Stamp Set, Stampin' Up!